Facebook is using SMS to help you protect your Facebook account. They're launching one-time passwords to make it safer to use public computers in places like hotels, cafes or airports. Facebook can now text you a one-time password to use instead of your regular password. Simply text "otp" to 32665 on your mobile phone (U.S. only), and you'll immediately receive a password that can be used only once and expires in 20 minutes. In order to access this feature, you'll need a mobile phone number in your account. We're rolling this out gradually, and it should be available to everyone in the coming weeks. Second, the ability to sign out of Facebook remotely is now available to everyone. These session controls can be useful if you log into Facebook from a friend's phone or computer and then forget to sign out. From your Account Settings, you can check if you're still logged in on other devices and remotely log out. Under the Account Security section of your Account Settings page you'll see all of your active sessions, along with information about each session. In the unlikely event that someone accesses your account without your permission, you can also shut down the unauthorized login before resetting your password and taking other steps to secure your account and computer. Lastly, when people log in to Facebook we will regularly prompt them to keep their security information updated. If you ever lose access to your account, having this information helps us verify who you are and get you back into your account quickly. 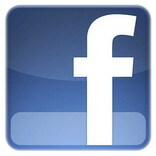 0 comments on "'One Time Use' passwords (via SMS) tighten Facebook security"